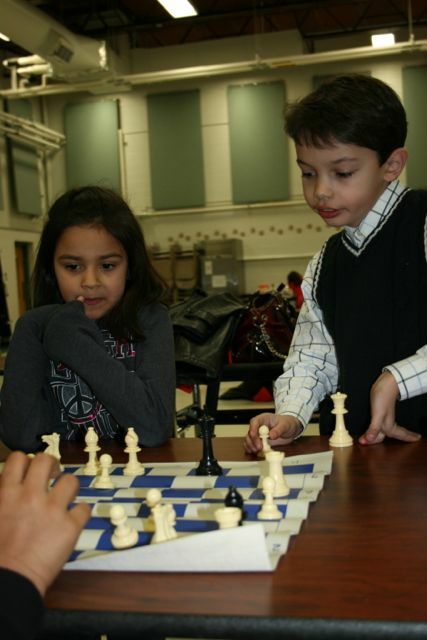 Ethan Gagliano from Countryside School and Alec Oker from Prairie Middle School in Barrington are learning the difficult art of teaching by organizing the chess club at Sunny Hill School. 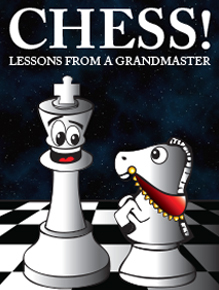 Chess Without Borders is sponsoring the chess club at Sunny Hill so that children at Sunny Hill can join the chess community as other students develop skills, host tournaments and serve at various humanitarian roles. 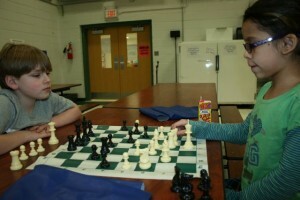 Both students are learning to appreciate the responsibility and effort that comes with being a leader. They are responsible for organizing, pairing players, dividing them into groups, assessing each players skill level, cleaning up and motivating players to succeed in their matches! and Ethan Gagliano (standing) as he teaches. 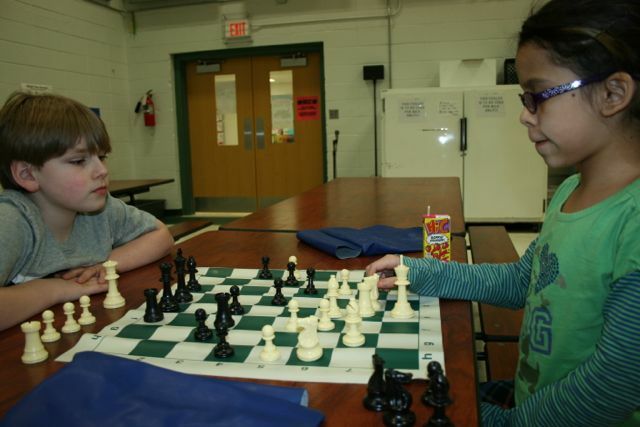 Chess Without Borders is proud of the students at Countryside who are acquiring a new skill and our student leaders Ethan and Alec who are making this possible. Both of them are working towards a Presidential Service Award through their work over the next year. We honor their service.